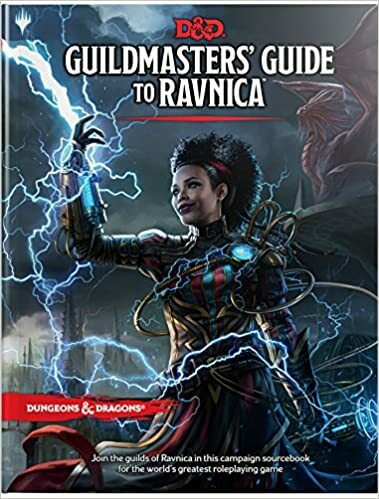 Guildmasters’ Guide to Ravnica is available now at Amazon.com and your local game store! Wizards of the Coast has also released Kreko’s Way, A Guildmaster’s Guide to Ravnica Adventure at DMsGuild.com! The Notorious Goblin crime boss Krenko has escaped confinement in the Udzeo prison under suspicious circumstances. Now he plots to reestablish control over his criminal enterprise, raising the specter of a goblin gang war that could jeopardize the tenuous peace among the guilds. You must find Krenko and secure him before all out war ensues! Krenko’s Way is an introductory adventure for 1st level characters. Wizards of the Coast is donating the revenue from sales of this PDF to the Extra Life for Kids charity. With the release of Guildmaster’s Guide to Ravnica and Krenko’s Way, Dungeons & Dragons fans can create and publish their own monsters, adventure modules, and other tabletop content set within Ravnica and put it up for sale on the Dungeon Masters Guild. For more information take a look at the Content Guidelines and FAQ for DMsGuild creators.